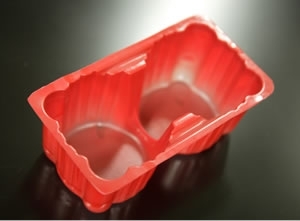 Nu Vision Packaging offers an innovative edge design service turning your packaging concepts into a cost effective and unique packaging solution. Our design team draws on many years experience both in Australia and overseas and utilises the latest solid modelling software. 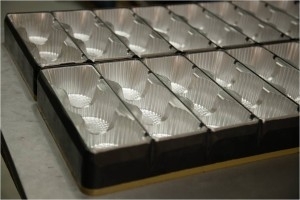 Nu Vision Packaging is a one stop shop to cater for all your tooling needs, to achieve your packaging solution. At Nu Vision Packaging we listen to the customer. If we are to satisfy your packaging requirements we must first understand what best suits your needs. This process will allow a concept to be generated using the customer’s knowledge of their product to be packaged and Nu Vision Packaging’s experience in packaging solutions. 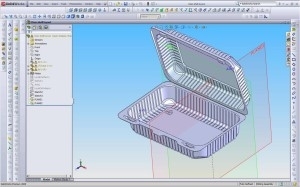 A 3D model is generated and is sent to the customer for comment. These are usually sent as electronic files and can be easily opened and viewed using a free viewing software. 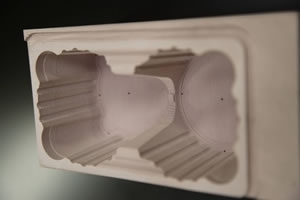 Once the concept design has been approved a prototype mold is cut. This is made out of a resin board that is inexpensive and easily cut. 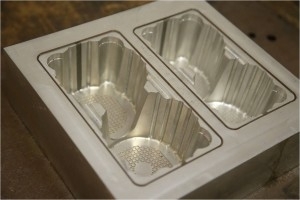 Samples are vacuum formed over the mold and the edges are hand trimmed. These samples give an accurate and physical example of the finished product. 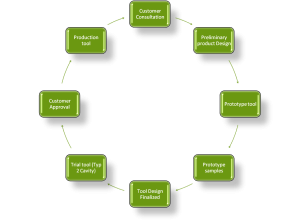 When the prototype sample is approved by the customer a decision on whether to make a small trial tool or go to a full product tool is made. If the finished products are to be used in automatic machinery that will fill, wrap or seal and de-nesting is a critical element to this process then a trial tool will be recommended. This allows for a reasonable quantity of product to be run in production with little cost risk if changes need to be made. In most cases the cavities and knives will be re used in the final production tool. On the completion of successful trials and with customer approval a production tool is produced using the materials and technology available.